Afghanistan’s justice system is failing woman as they are often discouraged from pursuing criminal prosecution against perpetrators of violence and most cases are resolved through mediation rather than legal pursuit, said the United Nations. Only 5 percent of surveyed cases of domestic violence over the space of half a year were considered by law enforcement bodies and resulted in criminal prosecution and statutory punishment, the UN said in a report released on Sunday. The report refers to the experiences of 110 women and girls from 18 Afghan provinces who became victims of spousal abuse and whose complaints were addressed through the courts or mediation between August 2014 and February 2015. The UN's assistant secretary general for human rights, Ivan Simonovic, said Afghan women often prefer mediation to legal proceedings, mostly because they distrust the justice system. “The interviews with women and girls subjected to violence revealed that negative perceptions of the justice system as slow, corrupt and distant continued to discourage women from pursuing criminal prosecution of the perpetrators,” Simonovic said. Moreover, financial dependency on men and a lack of certain rights makes Afghan women reluctant to bring the abusers to justice, the report said urging the government to adopt legal, institutional and policy reforms to better protect women. 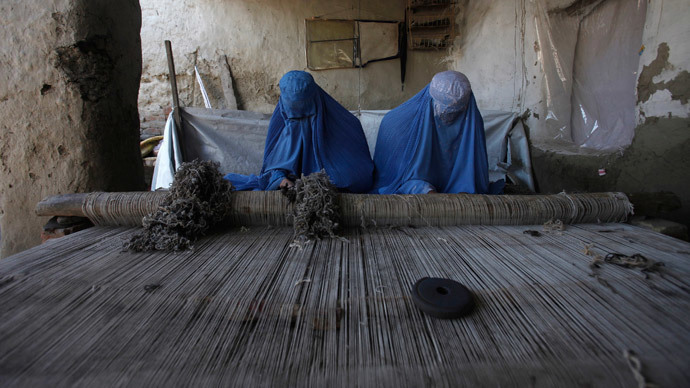 Afghanistan is known as one of the worst countries in the world to be a woman. The equality of rights guaranteed by the country’s constitution, along with the right to protection from violence, are rarely applied in practice. The growing levels of violence against women and the fact that the Afghan authorities ignore violence and harassment both raise concerns among human rights groups. The latest report by Amnesty International released on April 7 said that women’s rights activists in Afghanistan are facing growing levels of violence and harassment as authorities turn a blind eye to the issue.